We are counted surrounded by offering a wide assortment of Floral Design Hanging Lantern. These products double the delight of a candlelit evening. Our offered products are designed under the assistance of domain experts using pure quality material and sophisticated techniques under the supervision of experienced professionals. In order to retain remarkable position in this industry, we are providing a wide array of Decorative Candle Lantern. We are engaged in offering a quality approved range of Brass Lantern. We are offering Decorative Lantern to our clients. We are offering our client an excellent quality range of Garden Hanging Lantern. These Lantern are made from very high quality raw material which ensures high durability at its user end. 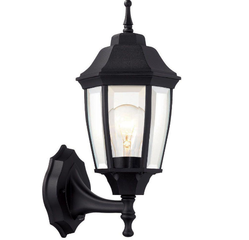 These Lantern are in high demand in the market. Made of stainless steel, these Stainless Steel Candle Luminary are very simple to look at but at the same time have a class on it's own. Made of iron and glass these lanterns offer a good shelf life.